After nearly 10 years in business, Anderson Marketing Solutions has found a home office in Greenwood Village at the new coworking space, Serendipity Labs. From modern, fun working space to mingling with other businesses, we are excited to call this office our home. 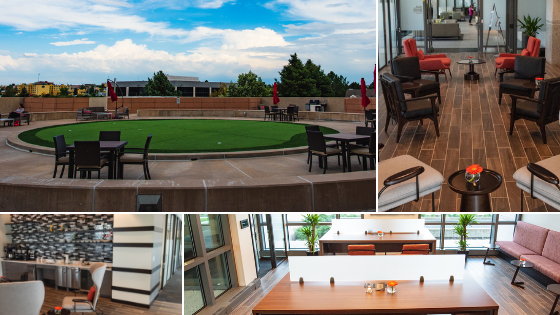 We are thrilled to get involved with more community events and happy to host existing and potential clients in private conference rooms or for a round of mini-golf on the roof. Times are changing and coworking spaces are huge and we’re happy to jump on the bandwagon. If you would like to visit our office or need assistance with your marketing, please reach out to us at info@amsdenver.com.